Bible Translations – King James Only? Did the King James translators add words to the Bible? Does the KJV correct the original Hebrew and Greek? [1:26] Gipp’s first slight-of-hand is to state that no Bible believer would say that the English “corrects” the original Hebrew and Greek, but then says that no one has the original Greek and Hebrew. What he says without saying it is that the KJV is intact but the original languages are not. It is a distinction without a difference. He still believes the original languages have been superseded by the English. [1:51] Gipp’s assertion that the italicized words of the KJV represent only words added to smooth out the translation is patently false. While this was certainly the most common reason, they also used italics for phrases they added which did not appear in the text, such as the brother of in 2 Samuel 21:19. This addition was made solely to synchronize this passage with 1 Chronicles 20:5. There is absolutely no textual evidence for changing the reading. [2:09] When he recasts honest questions as “this friend of yours would be upset” about using the KJV, he is pulling another fast one. I do not know of any honest, English-speaking believer who would be upset about the italicized phrases in the KJV. What upsets people is the assertion that KJVO people make concerning the inspiration of those italicized words as being on par with the underlying text. [2:50] Dr. Gipp shows his young friend the italicized phrase who had been the wife of in Matthew 1:6 as evidence of the necessity of KJV translators adding phrases for ease of reading, and then says, “Surprise! 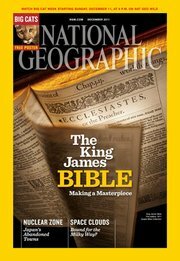 This is not a King James Bible! It is New King James.” He claims this proves that the guy’s friend is ignorant because if they have a problem with additions to the text, they would have a problem with every translation. He creates a straw man – plain and simple. Dr. Gipp is also ignorant of the development of the English text here. The particular line he is citing is not from the KJV. It dates back to the Vulgate. Only the word wife was added (by Tyndale, not by the KJV translators). This is a case where the translation is implied by the original. He ignores passages like Psalm 7:11 where the translators supplied the words the wicked to demonstrate a particular view of God. He also ignores passages where the Old Testament translation is adapted to the New Testament quotes or paraphrases, such as when Peter quotes Psalm 16:8 in Acts 2:25. While these additions do make the finished translation more cohesive, they give a false impression that the NT writers knew these passages verbatim, which they did not. [3:42] Another case of Dr. Gipp being either disingenuous or ignorant. He claims that the KJV supplies something lacking in the text by clarifying that “flies” in Exodus 8 is in italics. He completely misses that “swarms of flies” was idiomatic and a perfectly acceptable translation of the Hebrew עָרֹב, as evidenced by its use in Cranmer and Geneva. That the KJV translators put “flies” in italics is actually unfortunate. There was no reason to do that. [4:36] Gipp’s explanation of the addition of italics in 2 Samuel 21:19 is the same weak argument used by everyone who just has to have the KJV be perfect. He refers to modern translations as “pulling those italics out” when in fact, this is not what happens at all. Modern translations do not utilize the system of using italics because a translation is a translation. The italics should be removed in 2 Samuel 21:19. They do not belong to the text, and saying anything else is acknowledging exactly what Gipp says he does not believe – that the KJV corrects the shortcomings of the original languages. [5:51] Arguing that the KJV does not have contradictions in it and therefore prevents confusion is absurdity. There is no contradiction to say two people killed someone named Goliath. The Philistines often used the same title for multiple people who filled the same office. Two people killing someone named Goliath does not make a contradiction, anymore than saying I like Sam and I don’t like Sam is a contradiction if I am talking about two different people named Sam. Gipp’s argument boils down to “Choose the Bible that is easier” instead of “honor the text.” And then he throws a coloring book into the situation. Once again, Gipp would rather be confident in the KJV than rely upon the text or do any kind of hard work. The KJV is just easier for him – there’s no way around it. He is dismissive of any kind of historical or textual work that might be needed to deal with the realities of the manuscript evidence and the process of translation. He asserts that if it is in the KJV, it is absolutely true; and then solves all his problems by putting that presupposition ahead of any other evidence. It would be nice if the situation were that simple; but it is not. To be honest, if I were that guy sitting across from Gipp, I would not just smile at his simple hand-waving dismissals and ignore my friend who is asking good questions. I would want to research this further. Fortunately (for him), Gipp is surrounded by people who just accept his explanations as absolute. They’ll do anything to justify their sin. This is a King James Version bible with 8 verses edited: specifically: Gen. 19:5, Lev. 18:22, Lev. 20:13, Rom. 1:26, Rom. 1:27, 1 Cor. 6:9 and 1 Tim. 1:10 and Jude 1:7. Unfortunately, this kind of thing is fodder for the KJVO crowd to use as proof of what all the other versions are also doing. Most other versions are translated and produced by those who do believe in Scripture’s authority. Those that are not, are rightly suspect.